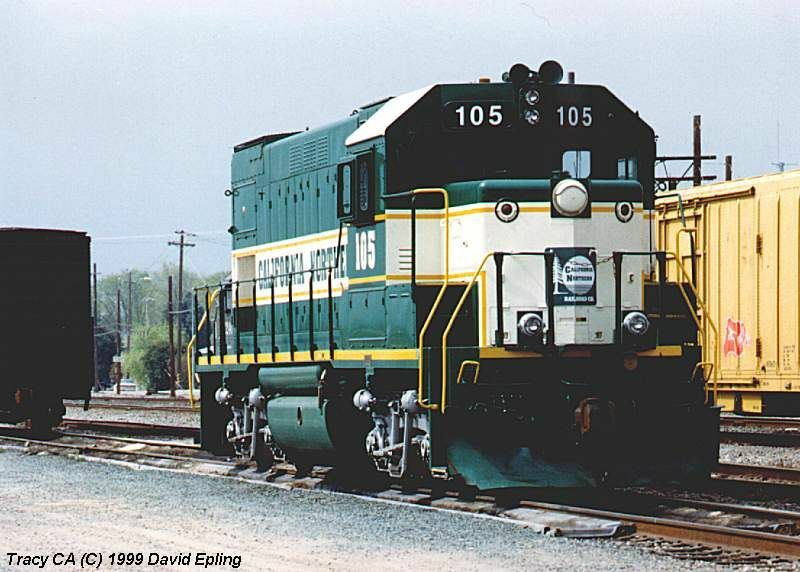 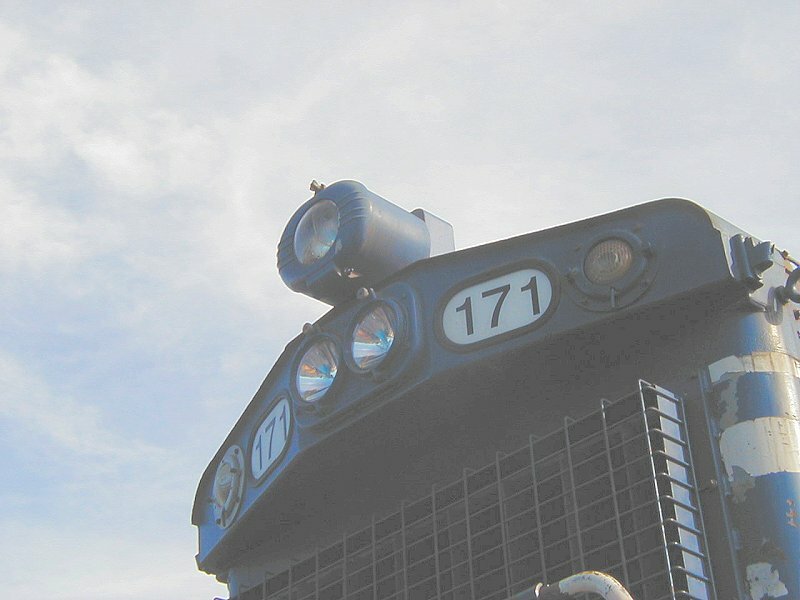 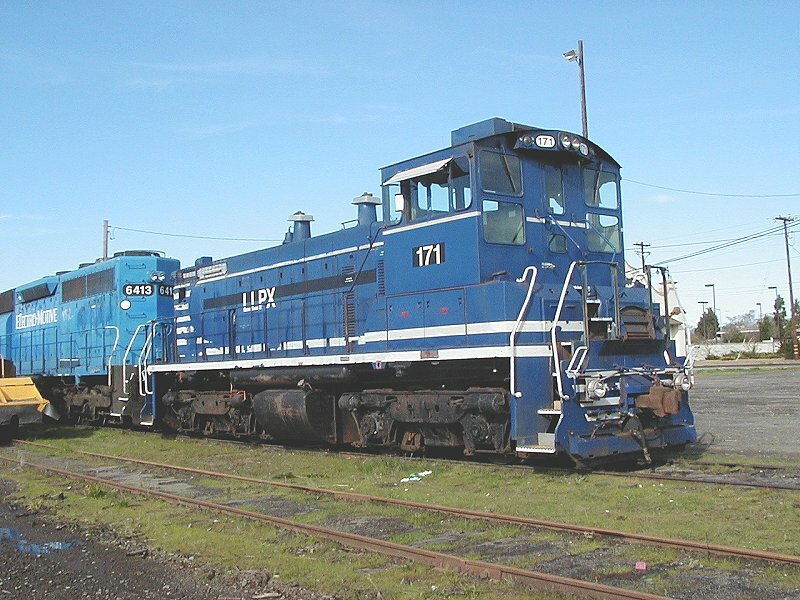 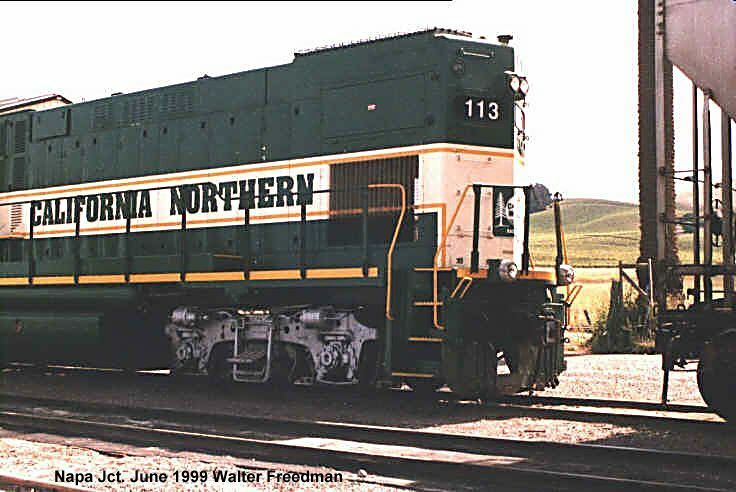 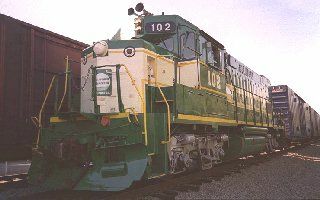 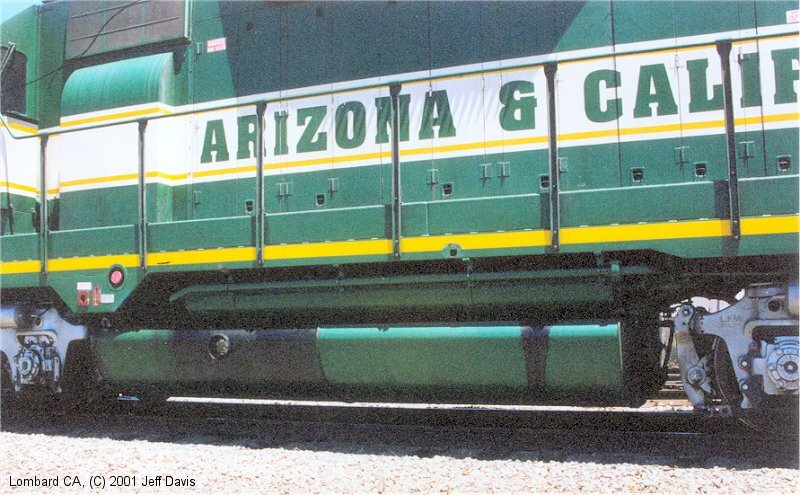 The 1998 Edition of The Official Locomotive Rosters & News, James W. Kerr, published by DPA_LTA Enterprises lists only GP15-1's Nos. 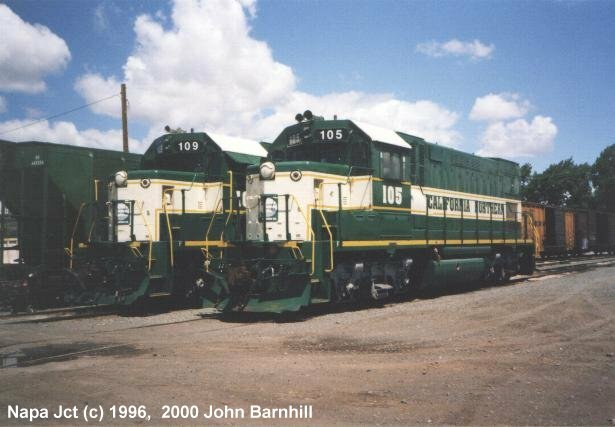 103 -113. 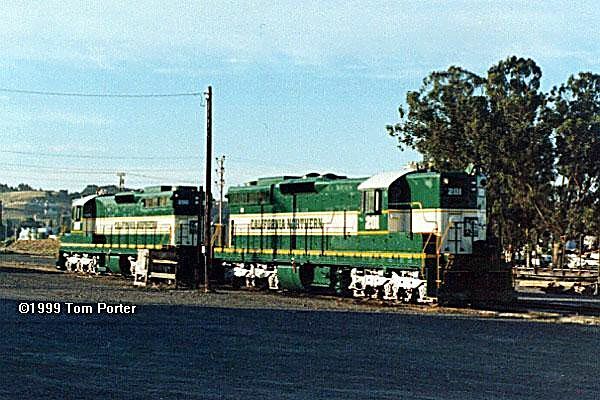 GP15-1's #100, 101 and 102, are currently on the UP roster as UP #1542, 1543 and 1544 respectively. 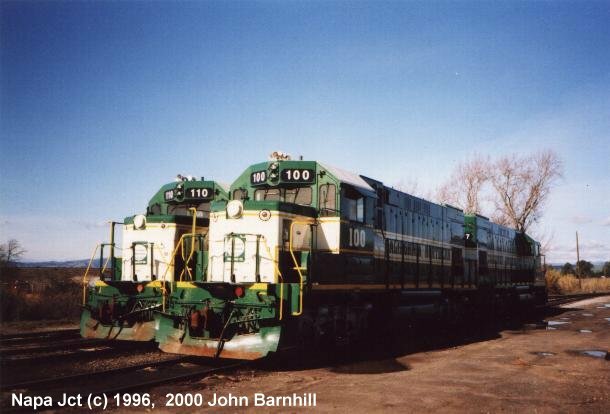 The 4 SD9's have also since left the Property, with #200 and 201 returning to GATX who in turned sold them to Omnitrax. 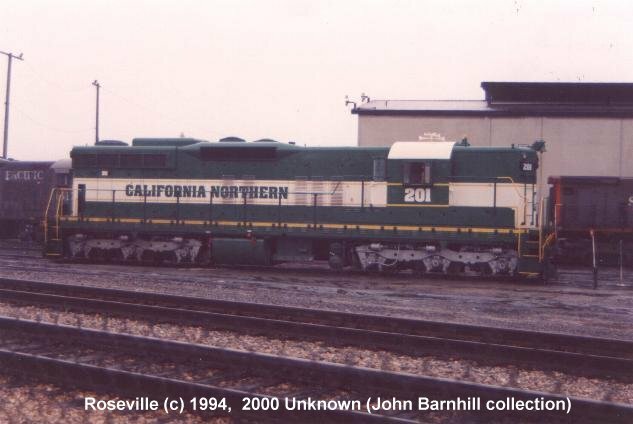 I currently have no info on #202 and 203. 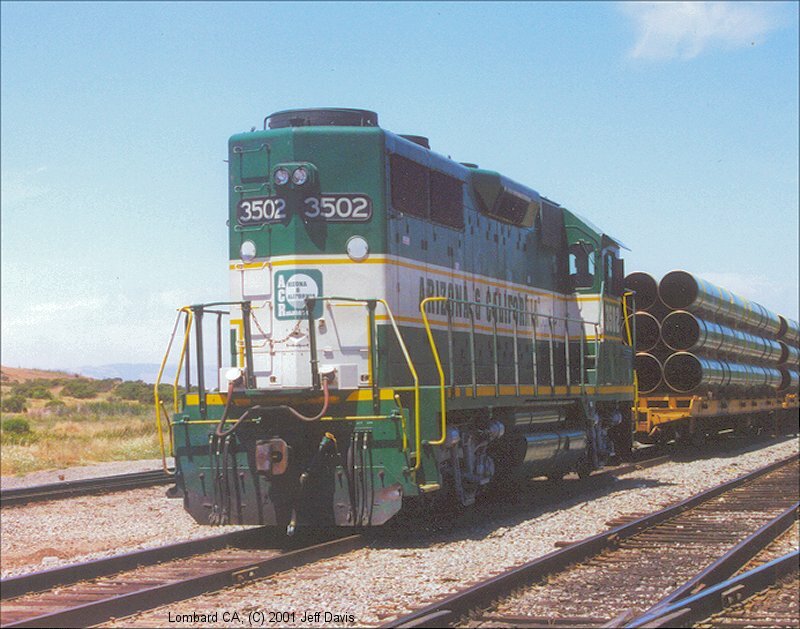 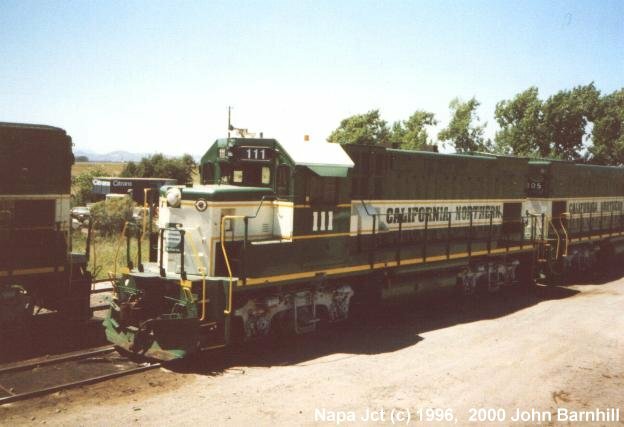 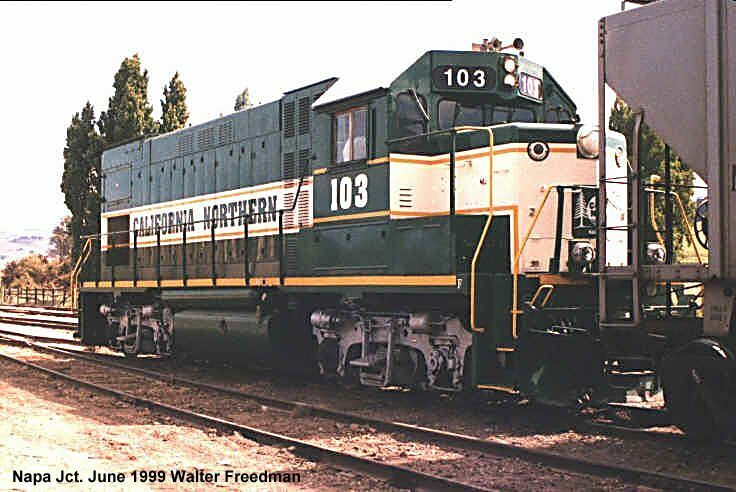 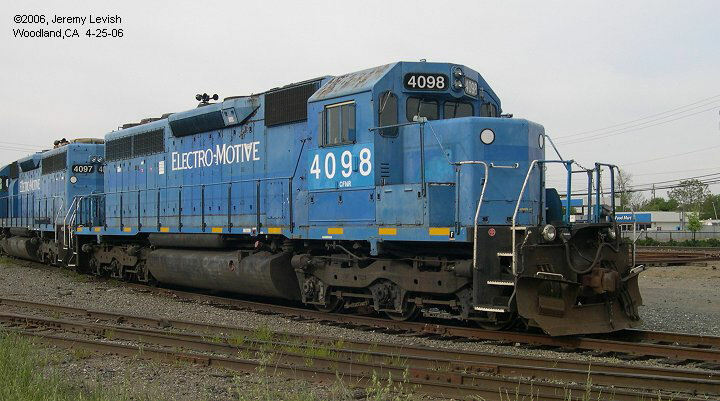 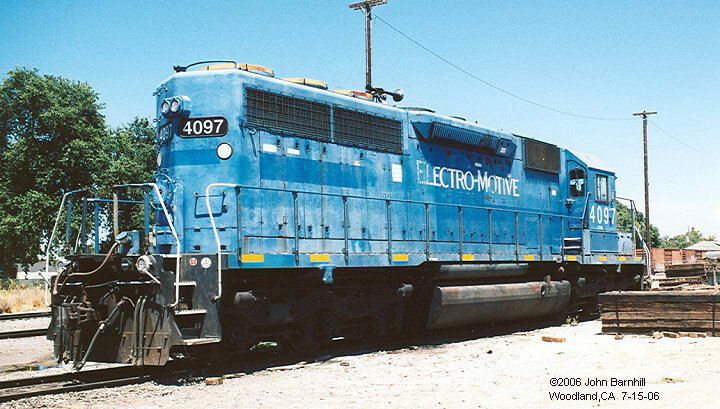 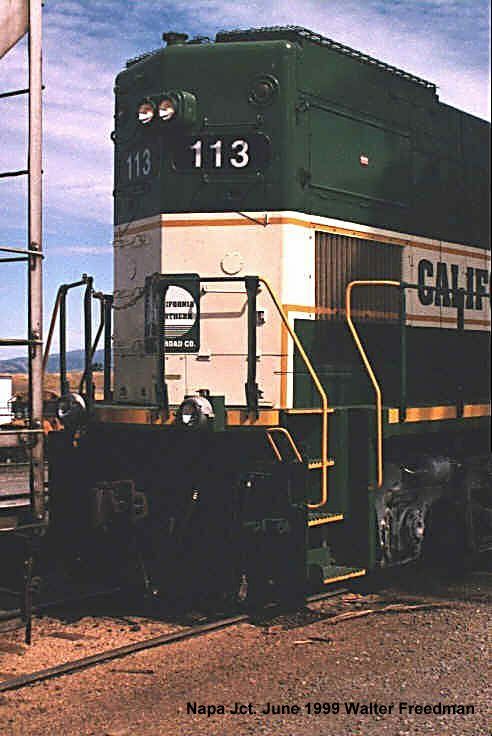 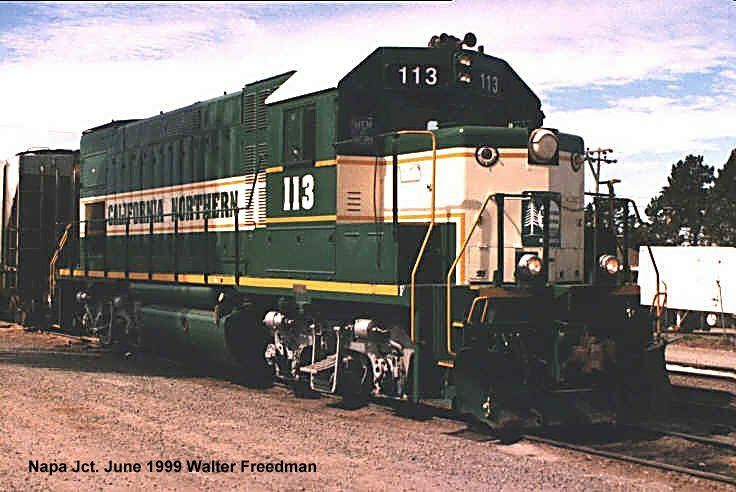 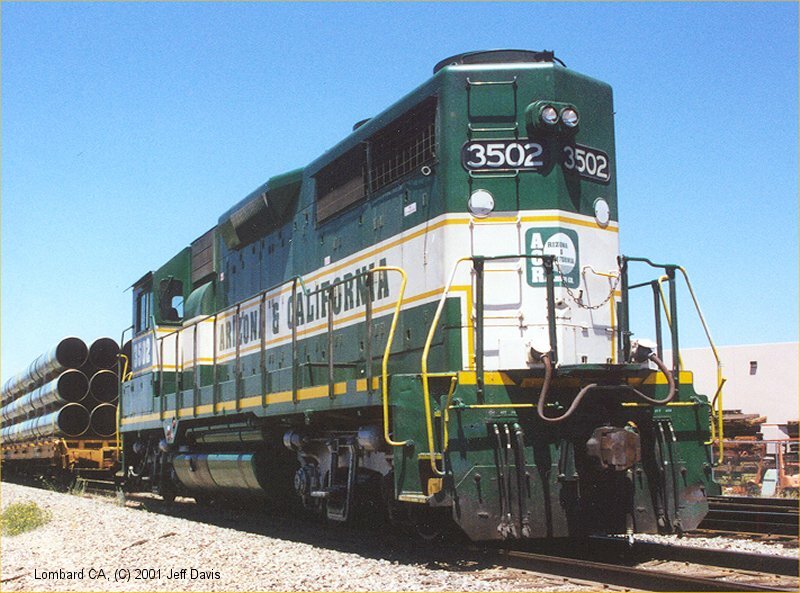 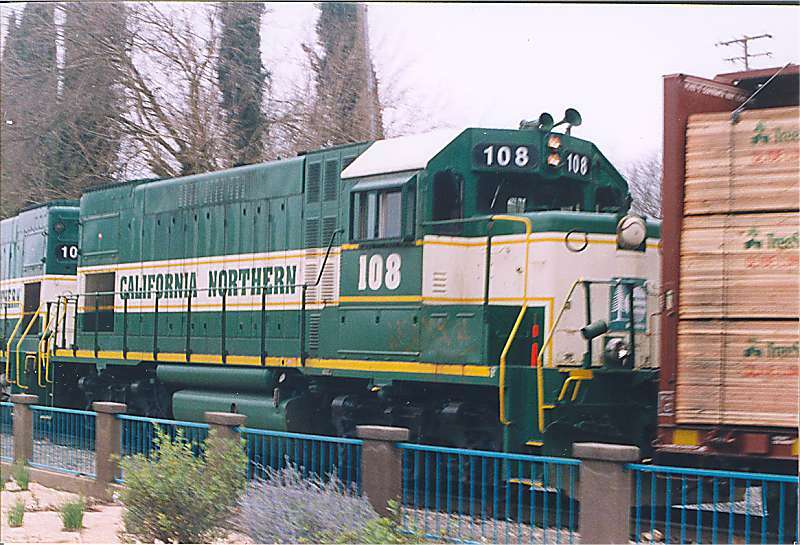 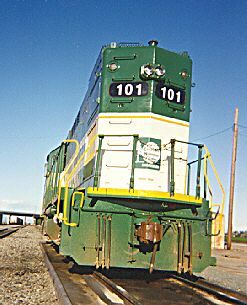 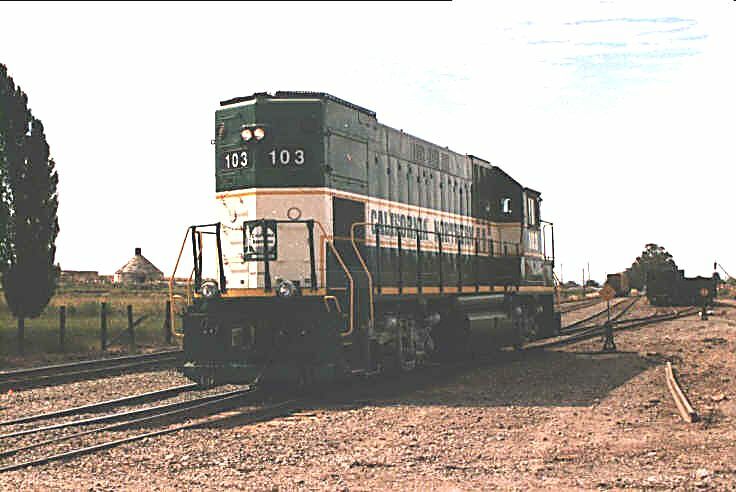 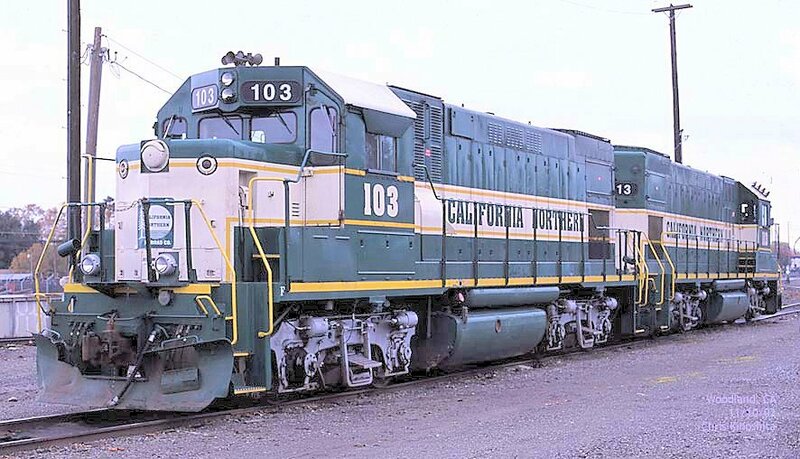 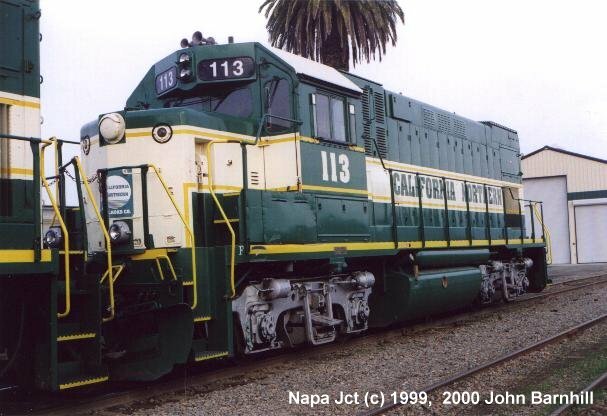 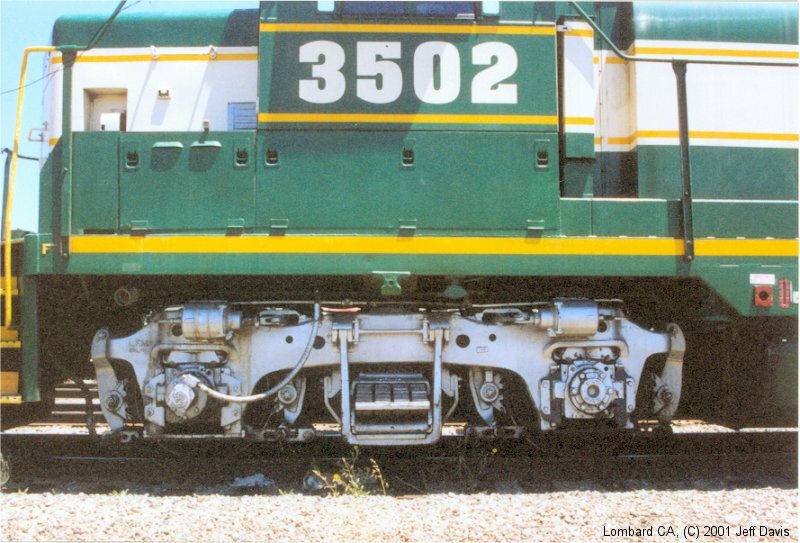 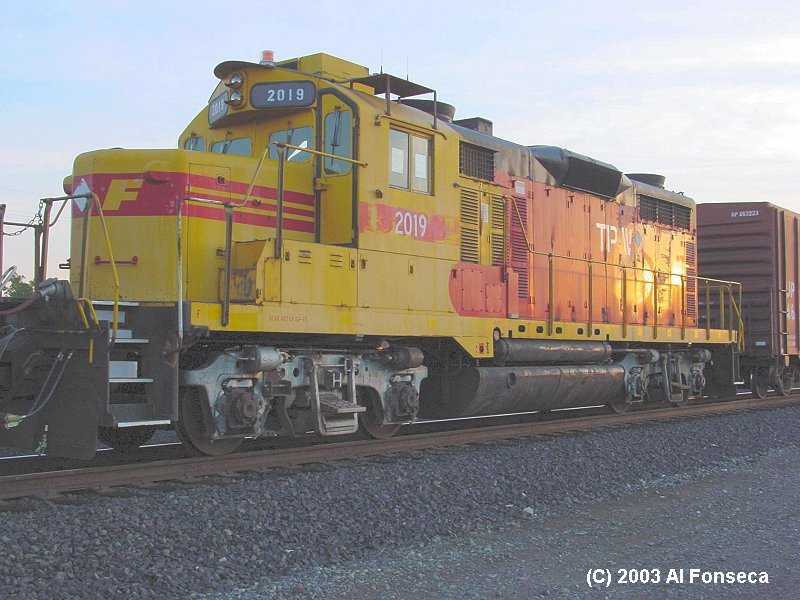 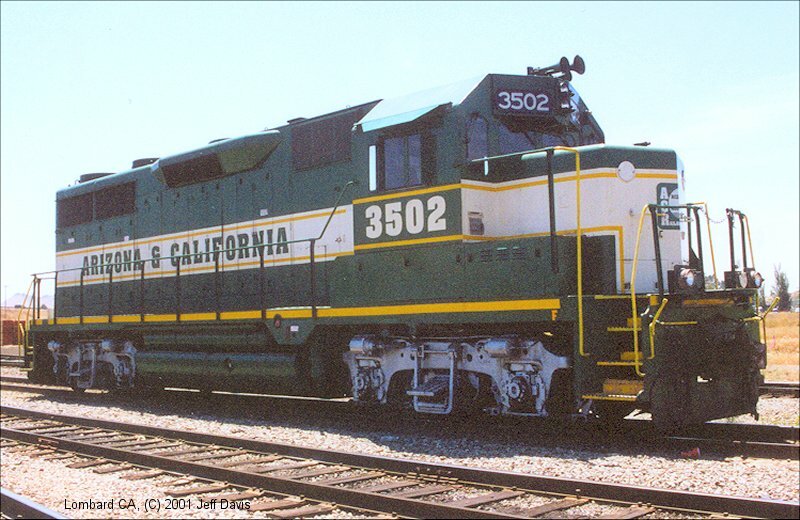 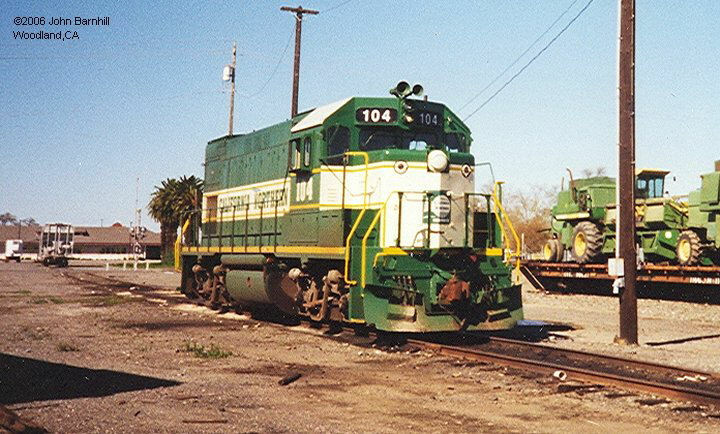 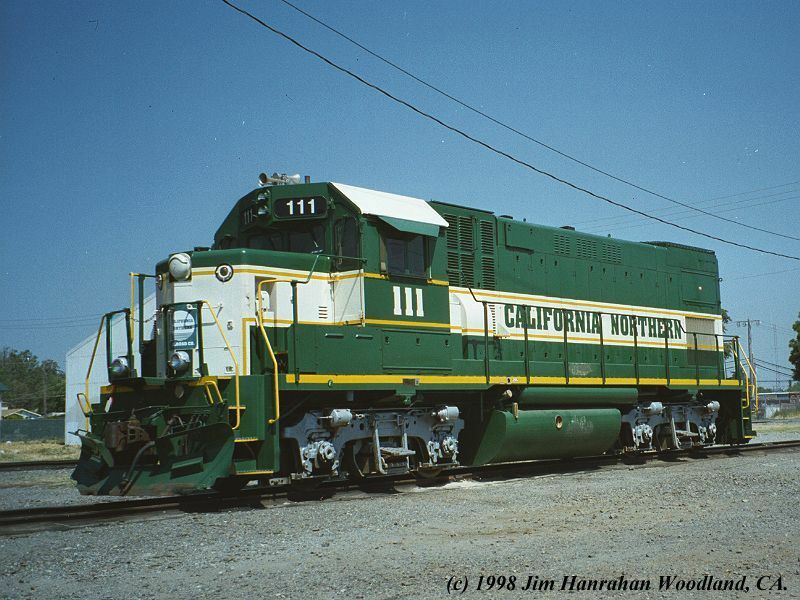 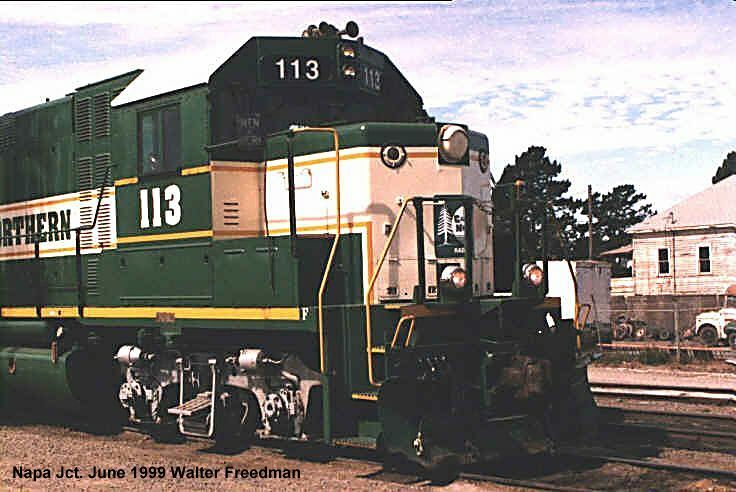 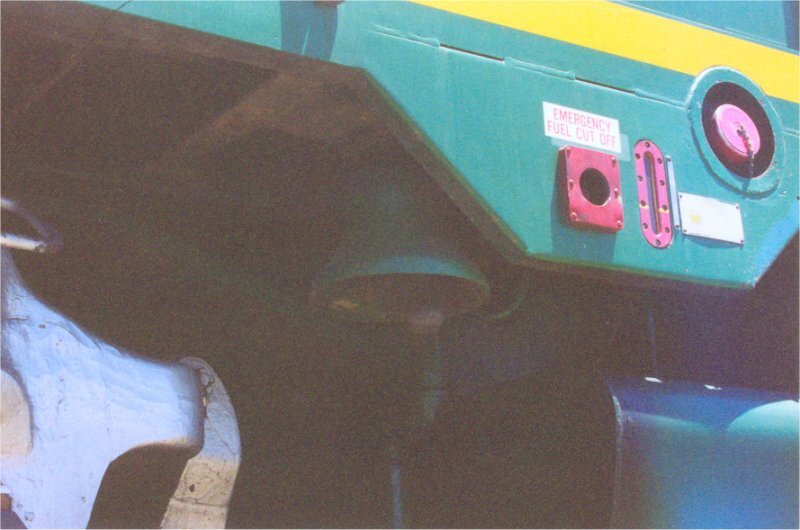 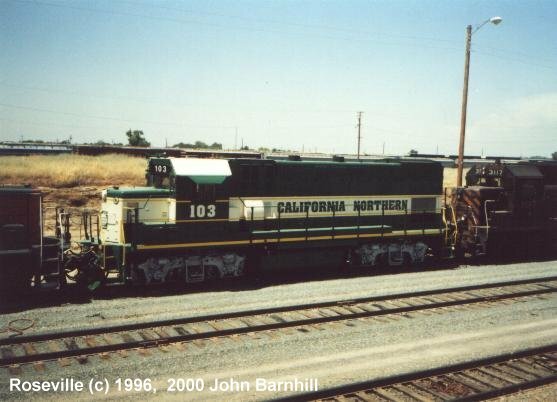 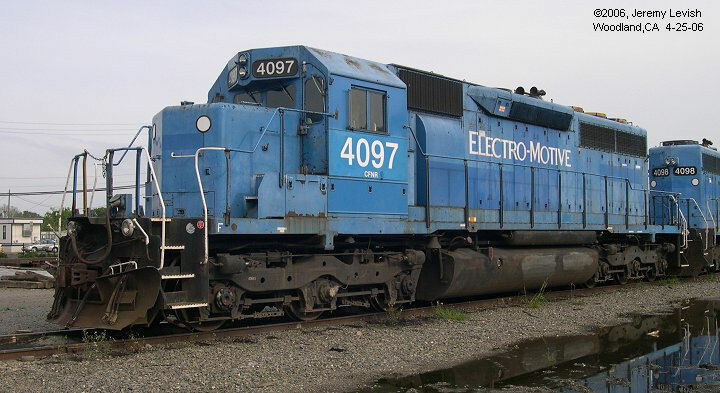 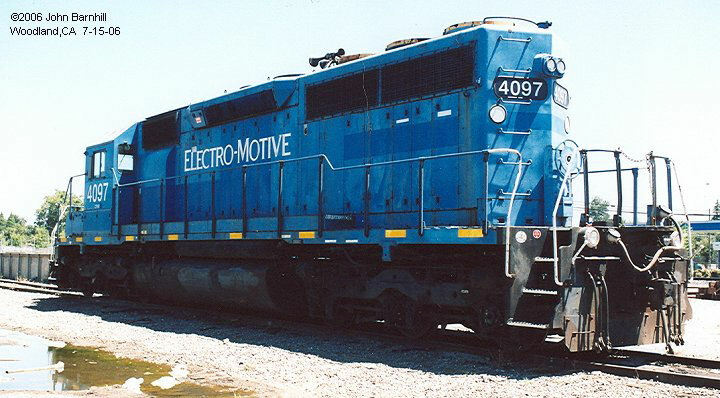 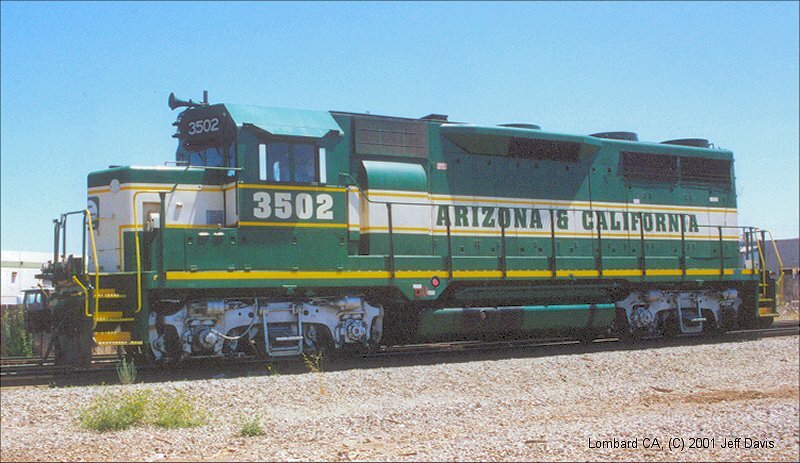 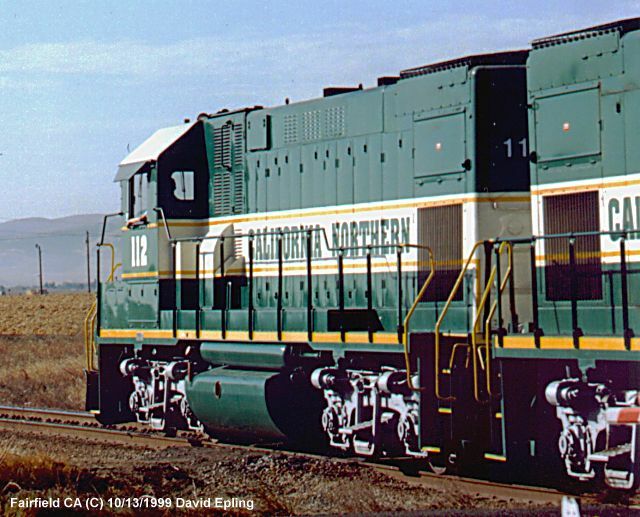 In June of 2001, CFNR acquired 1 GP30 and a GP35 from sister railroad Arizona & California. 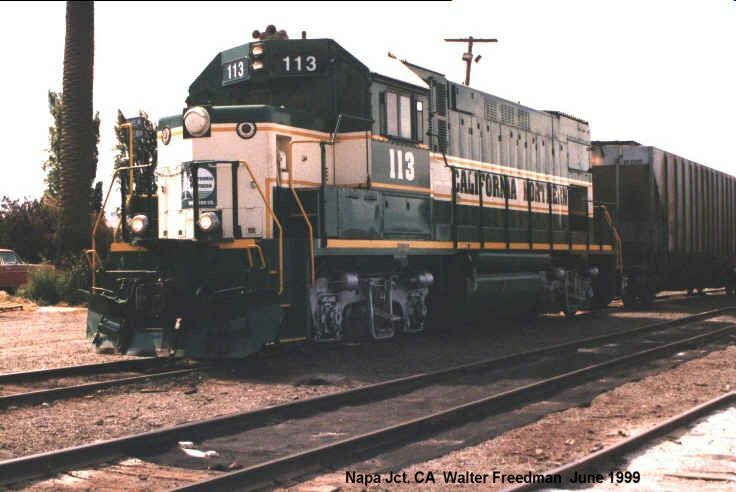 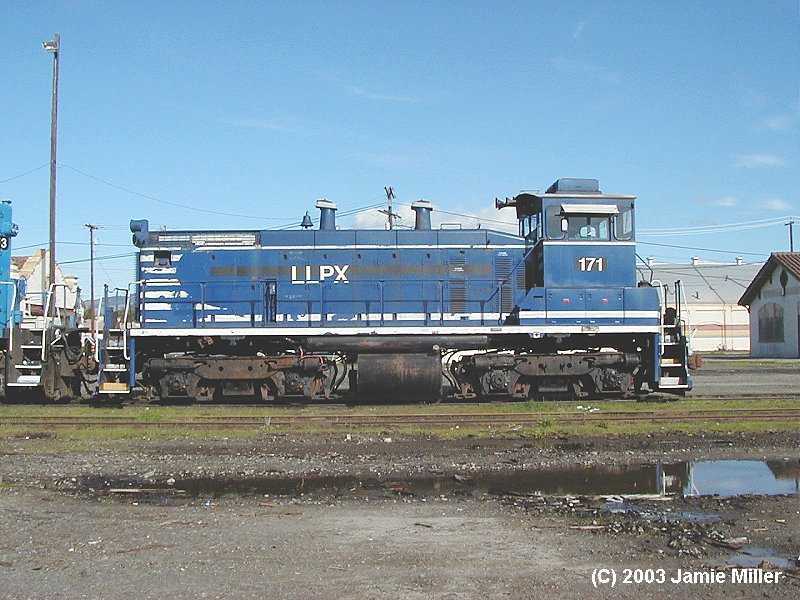 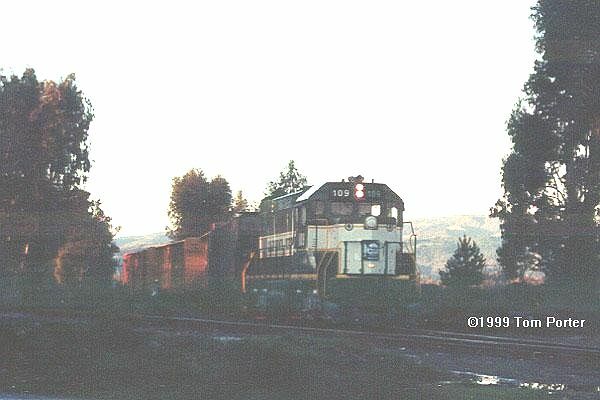 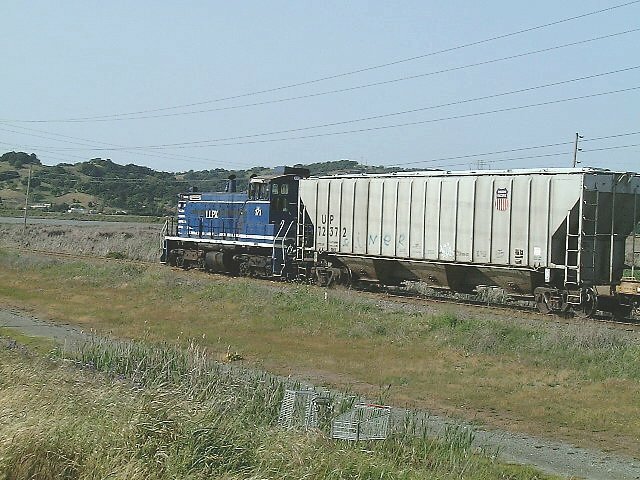 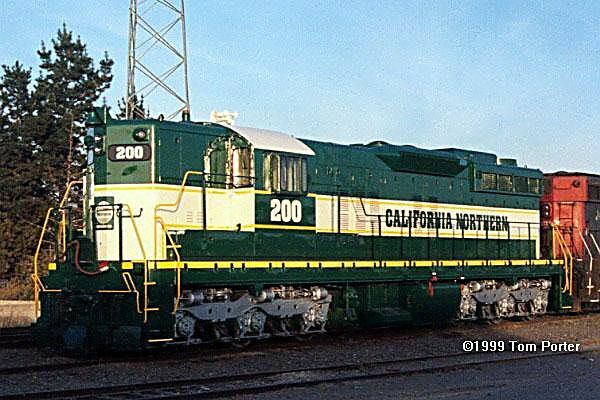 When the Northwestern Pacific defaulted on their lease for the LLPX SW1500, and 2 SD40-2's , CFNR picked up the lease and the units all three work on the CFNR today. 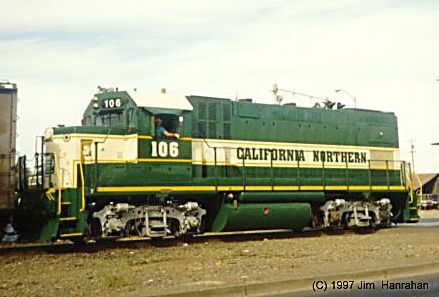 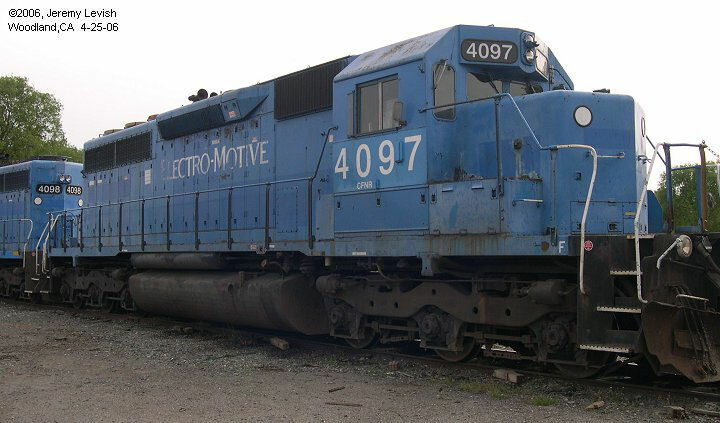 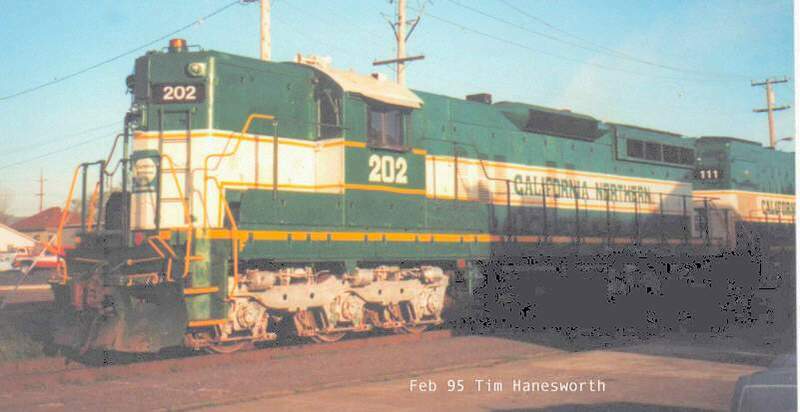 In November 2003, the Arizona & California Units were retired and sold to a private party, they are at the Fillmore & Western where the 3502 is used for TV and commercial ad shoots. 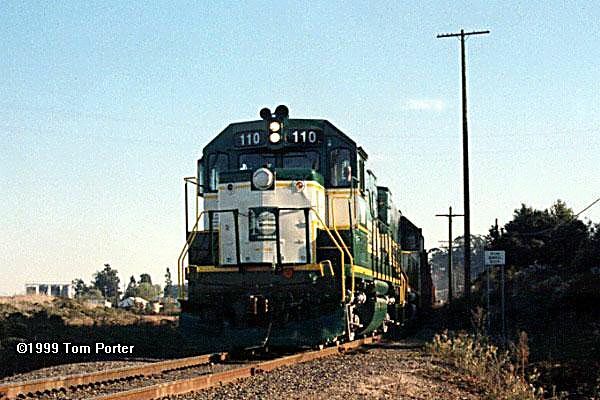 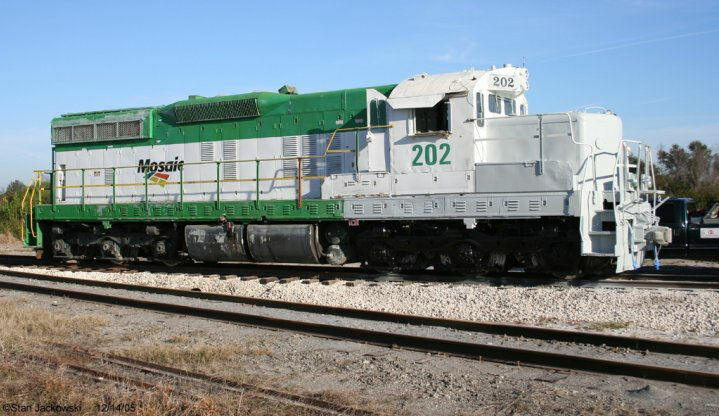 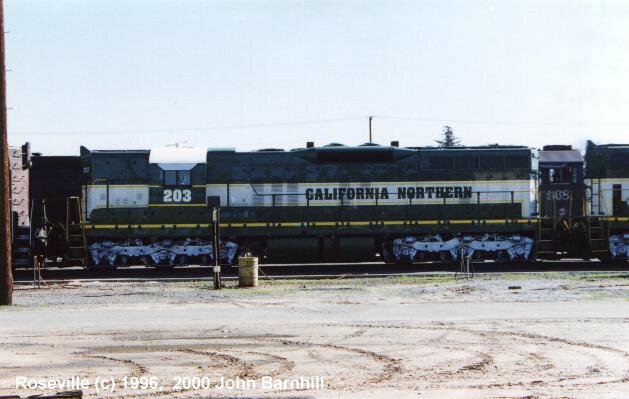 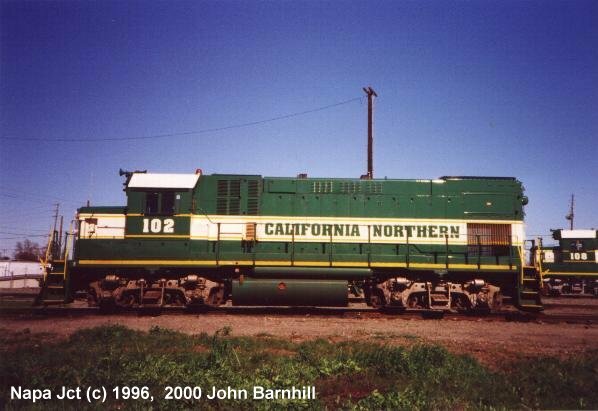 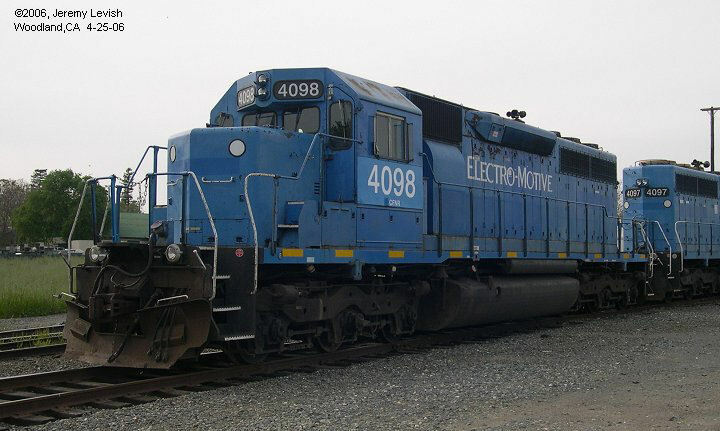 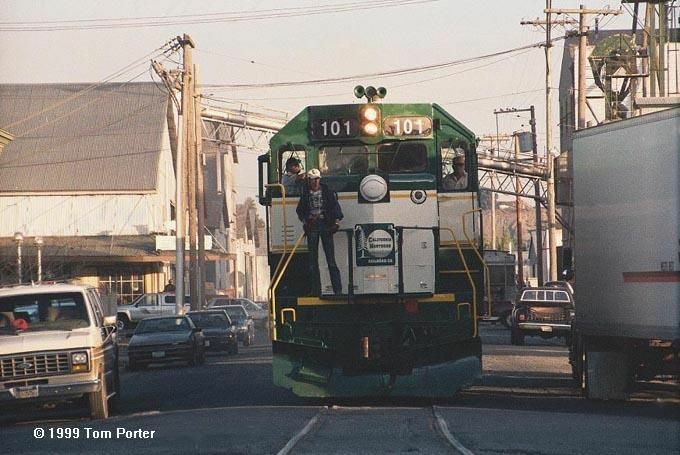 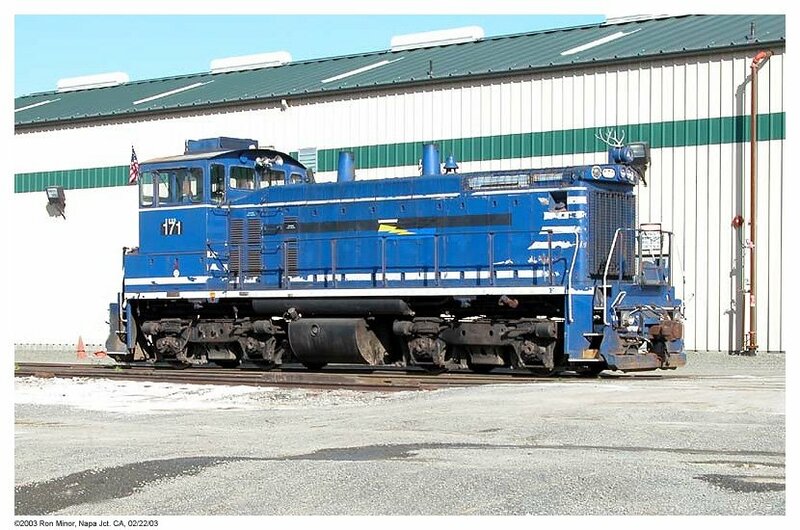 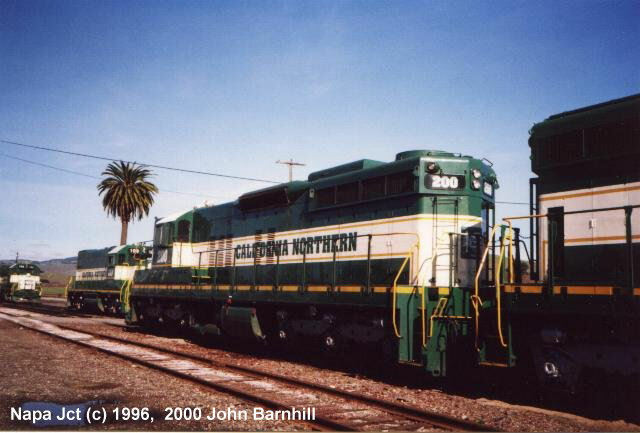 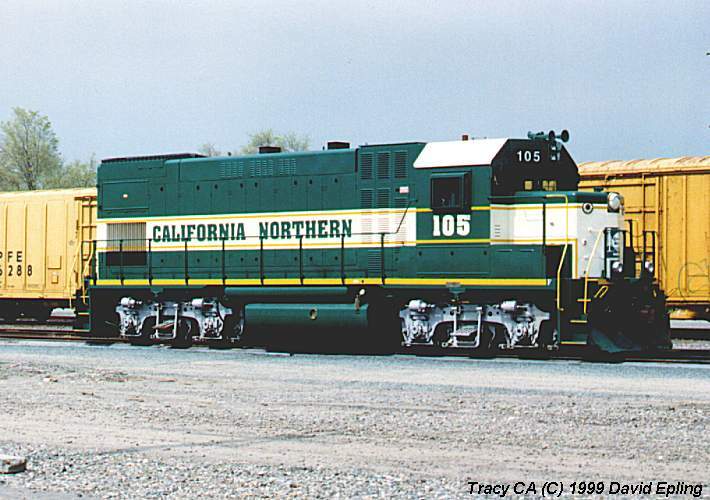 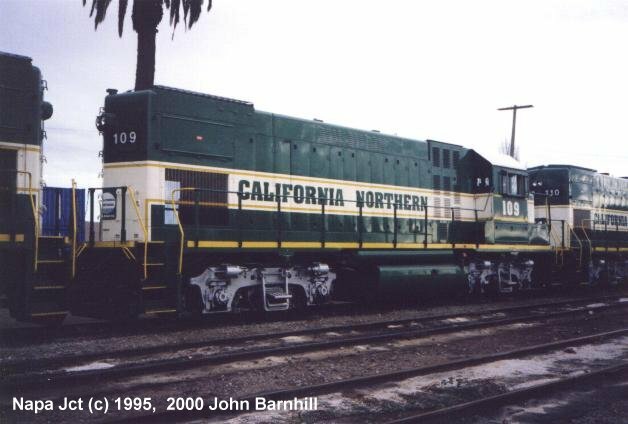 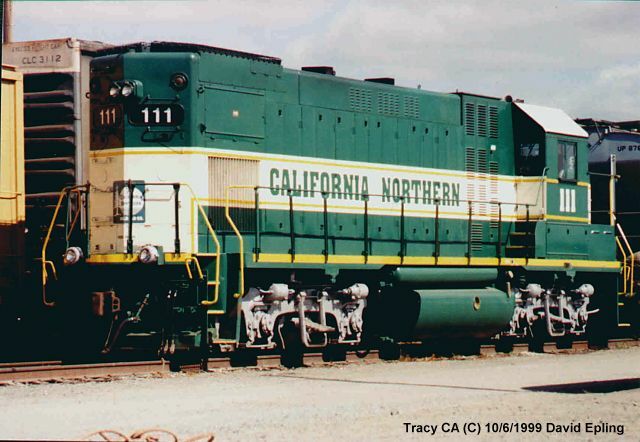 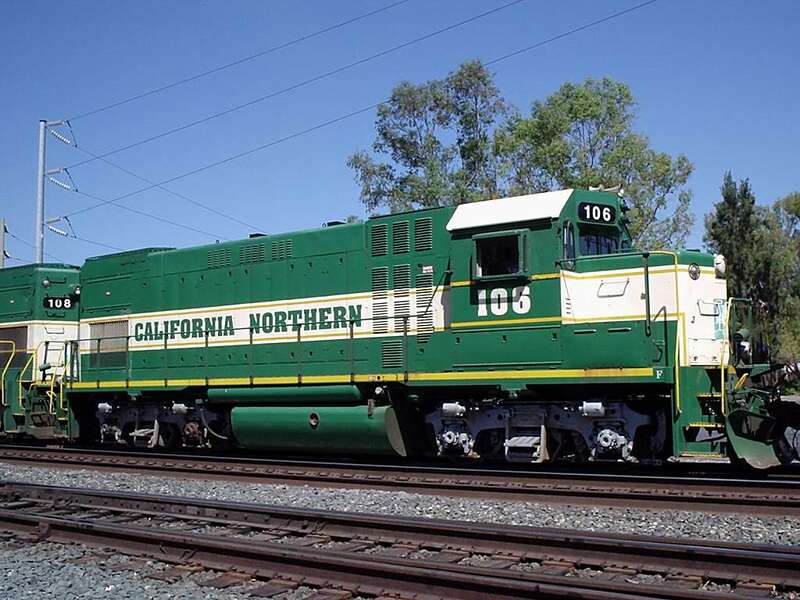 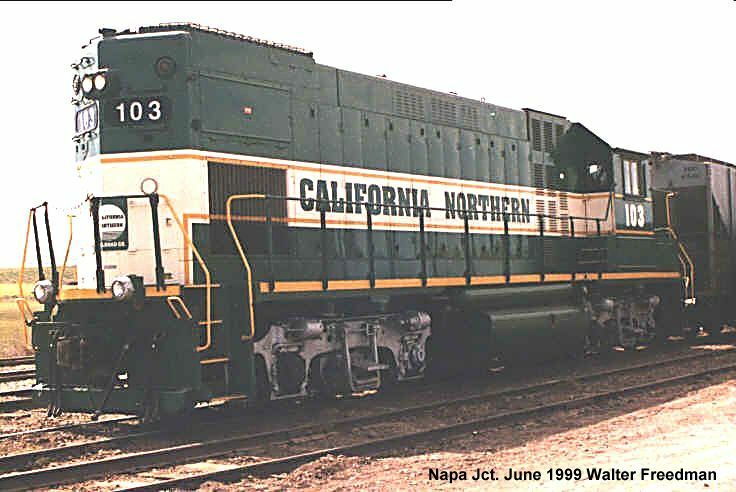 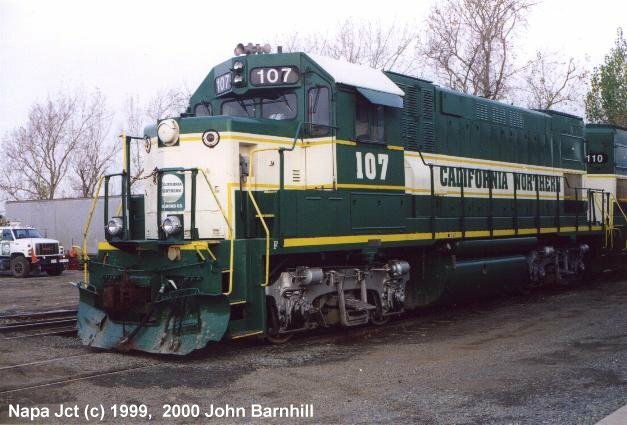 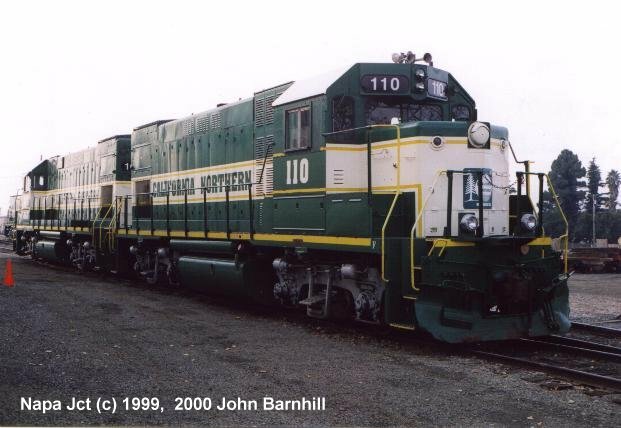 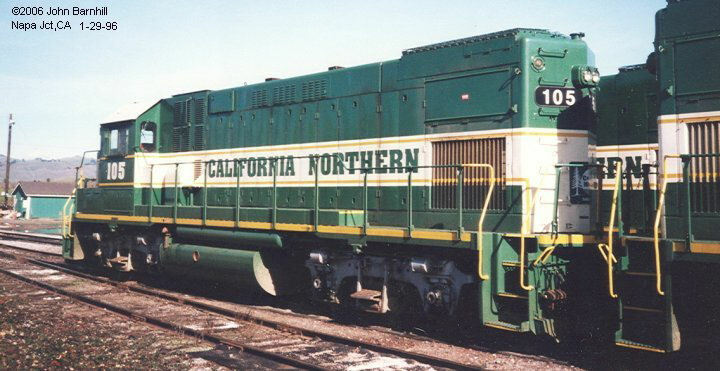 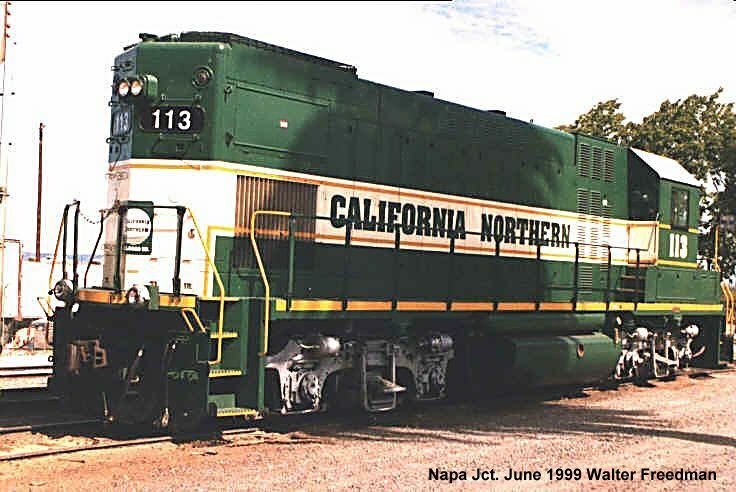 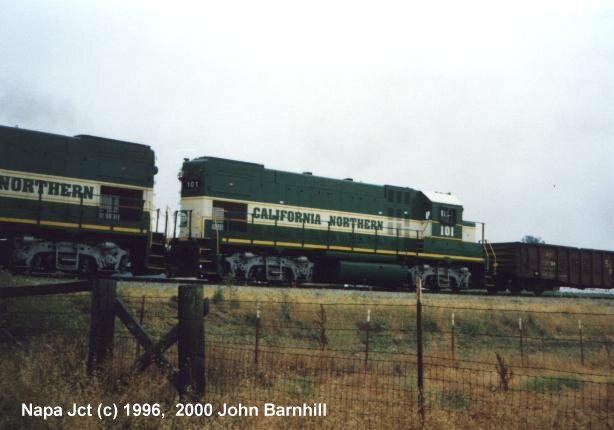 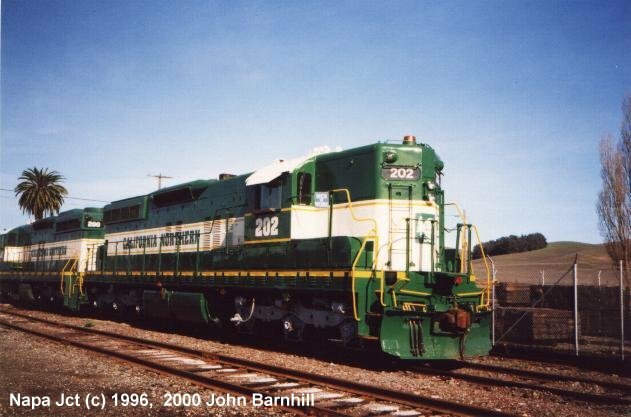 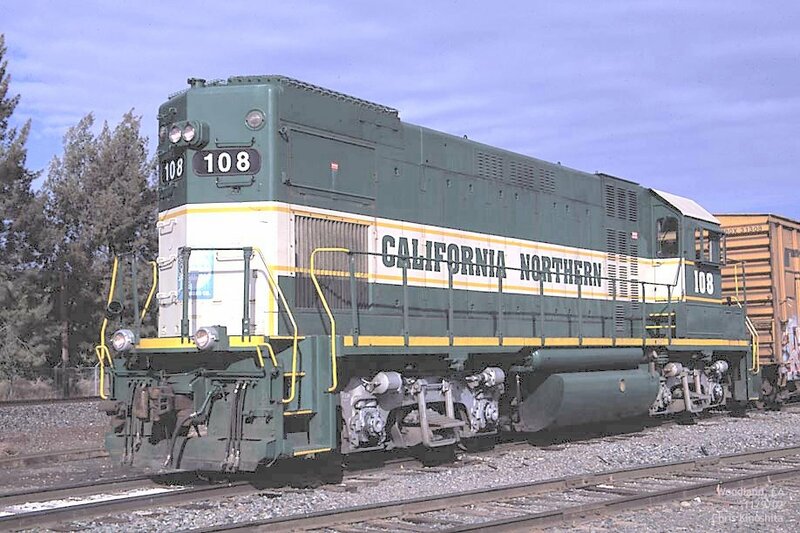 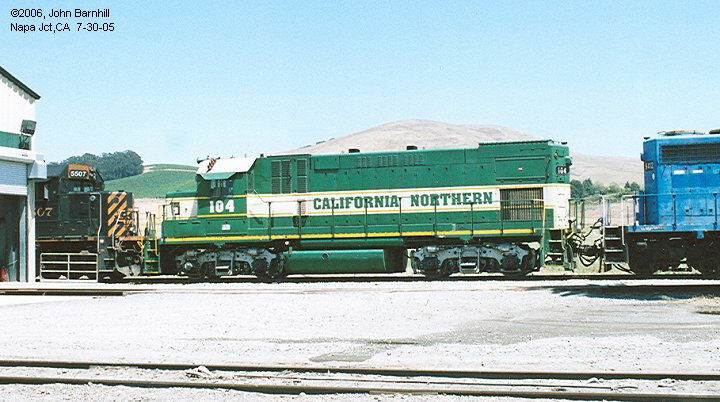 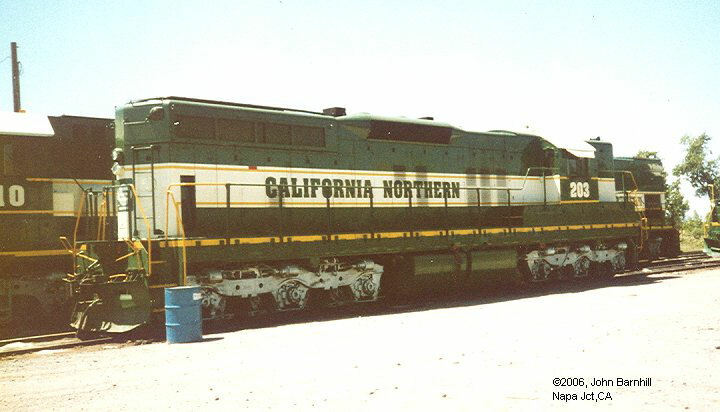 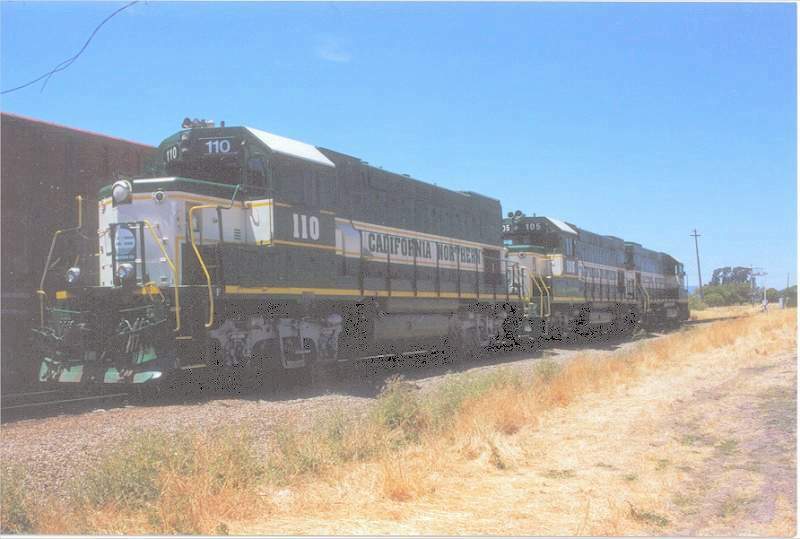 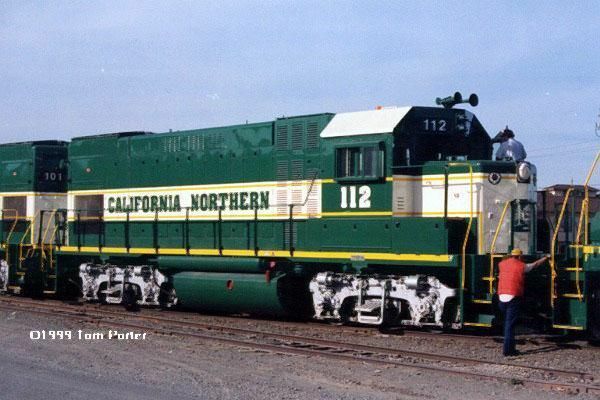 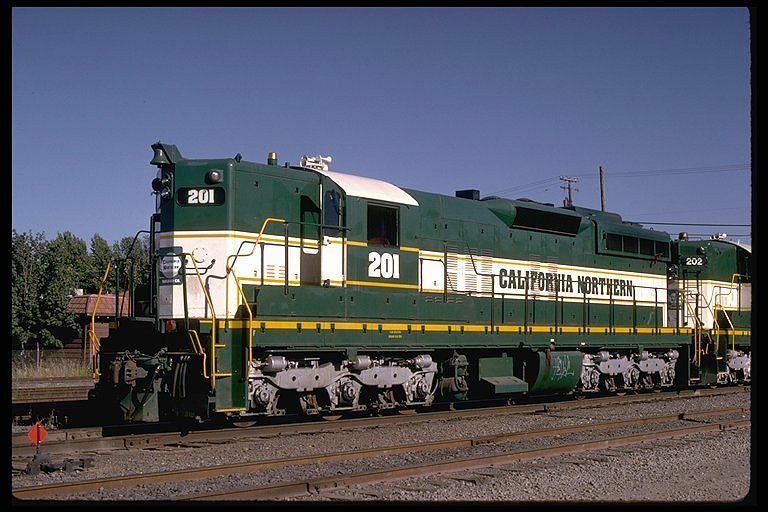 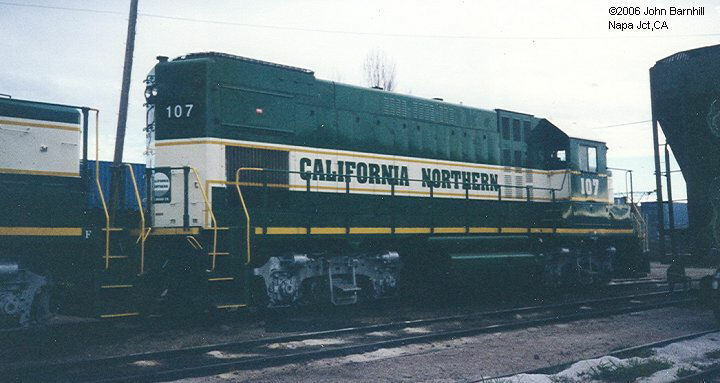 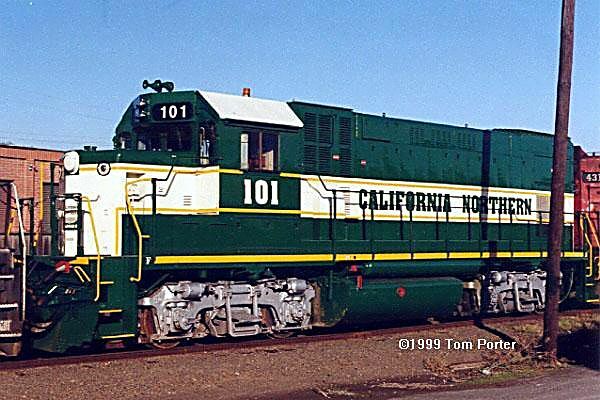 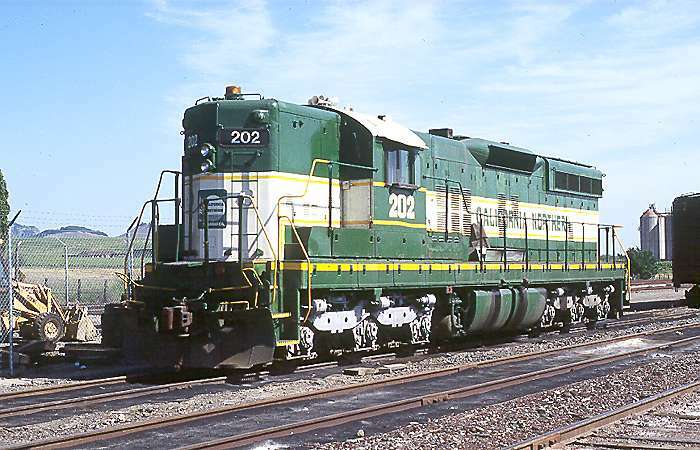 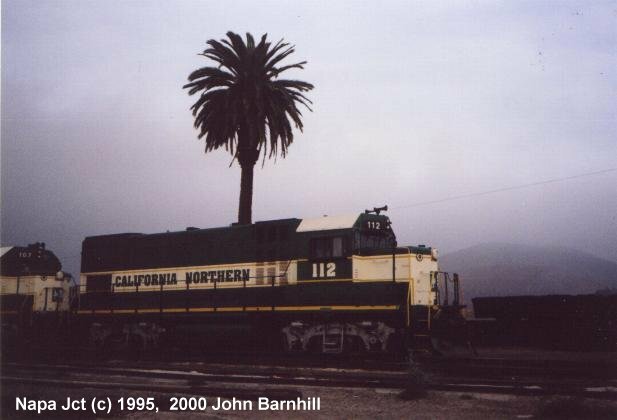 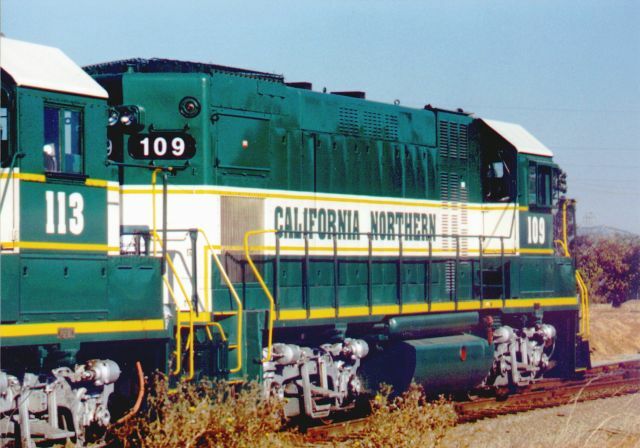 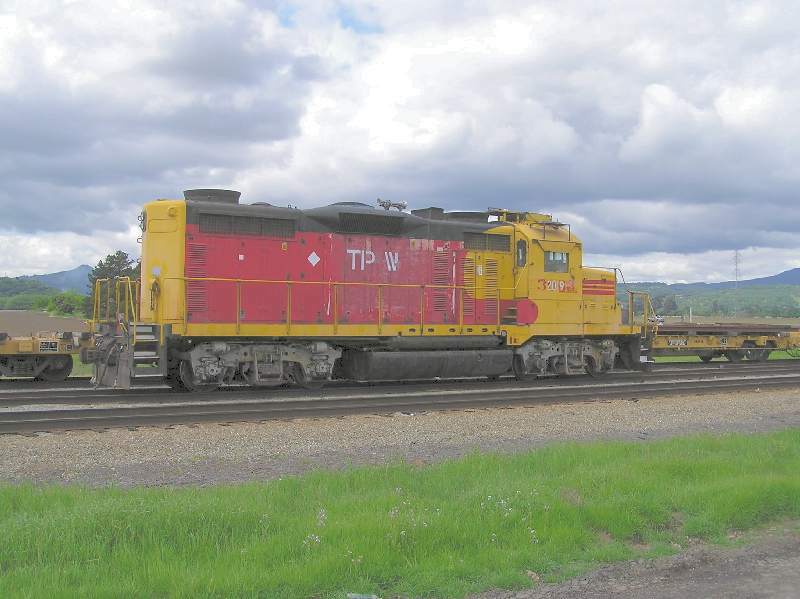 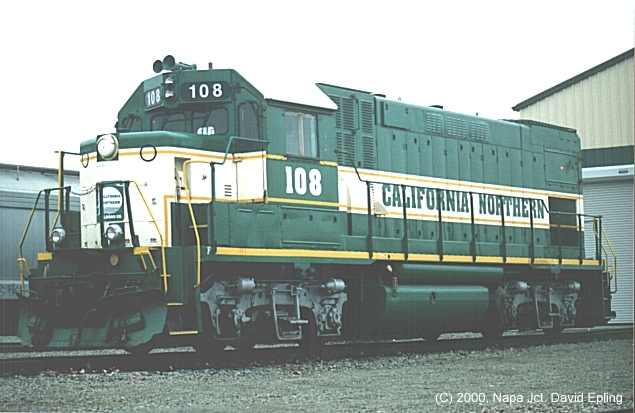 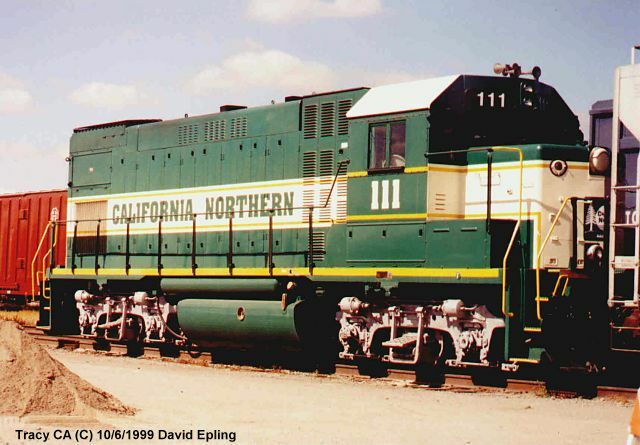 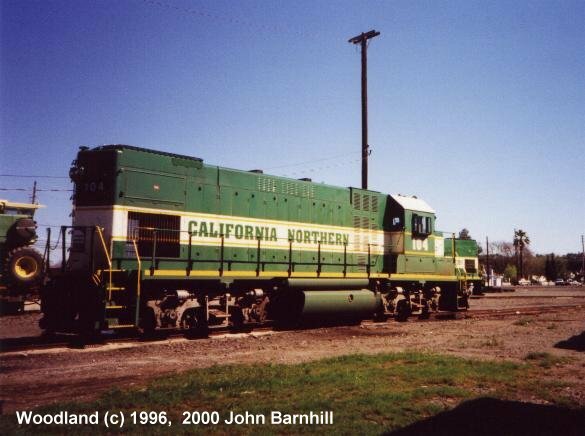 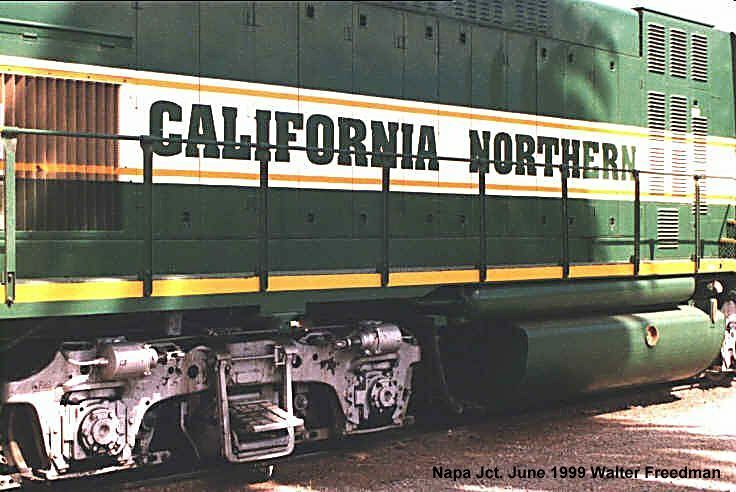 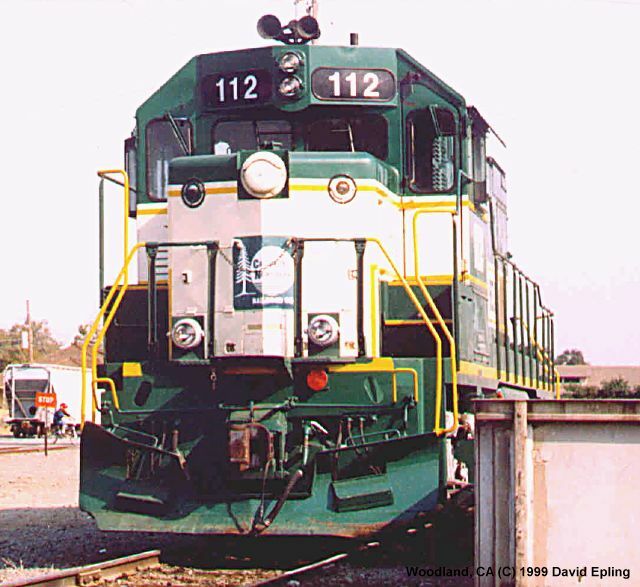 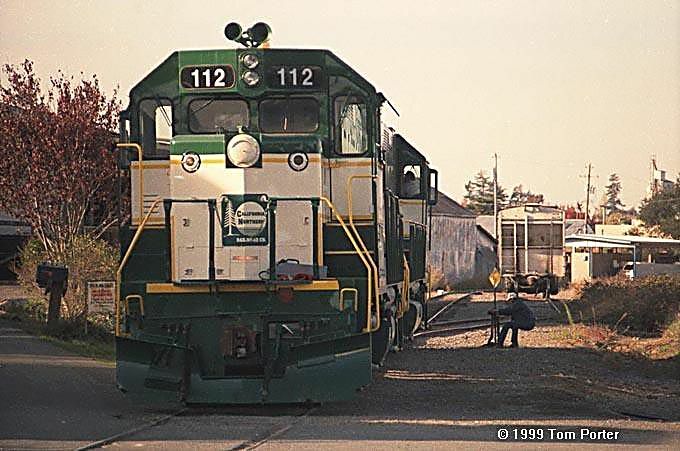 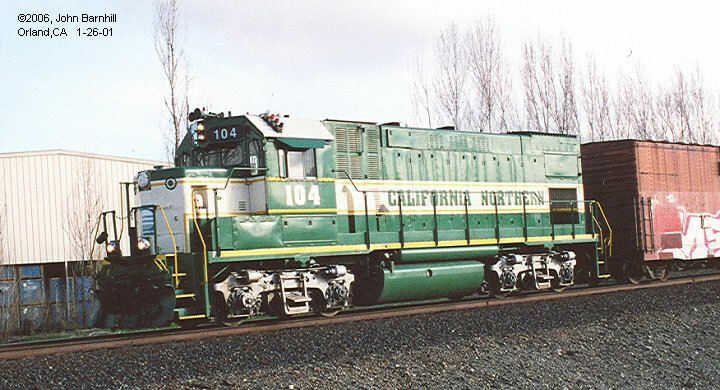 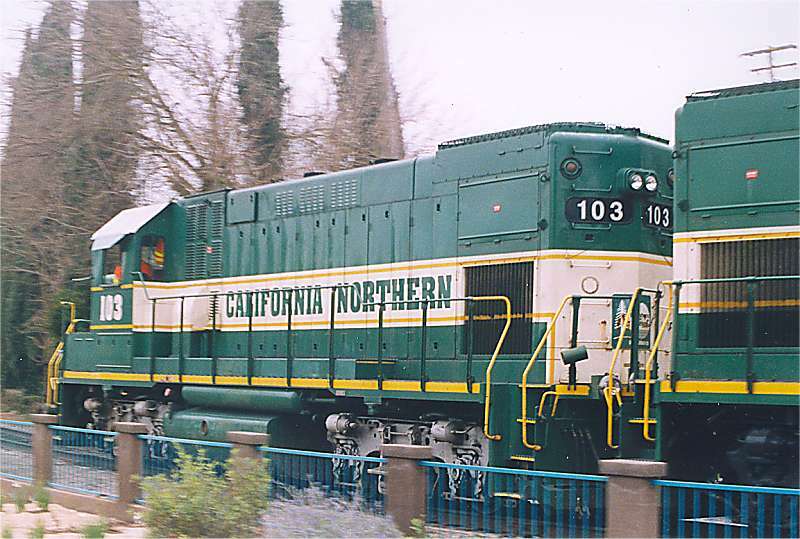 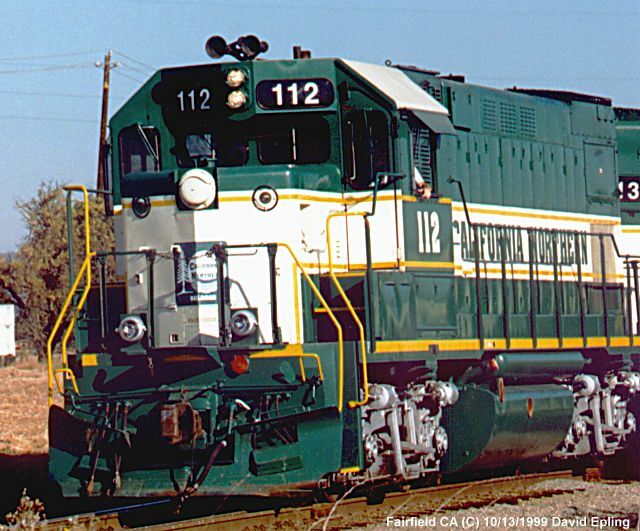 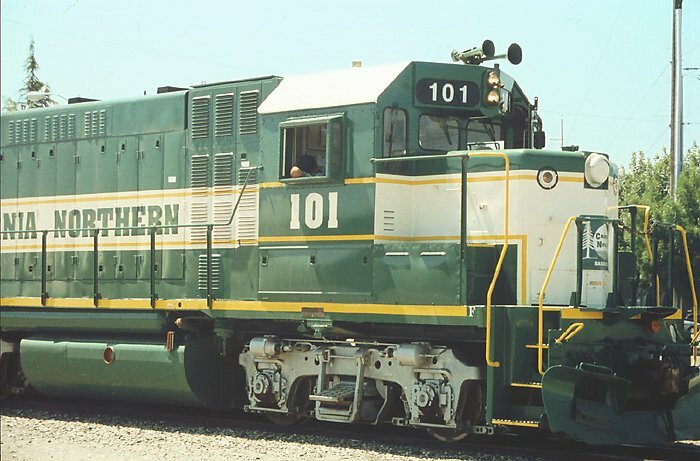 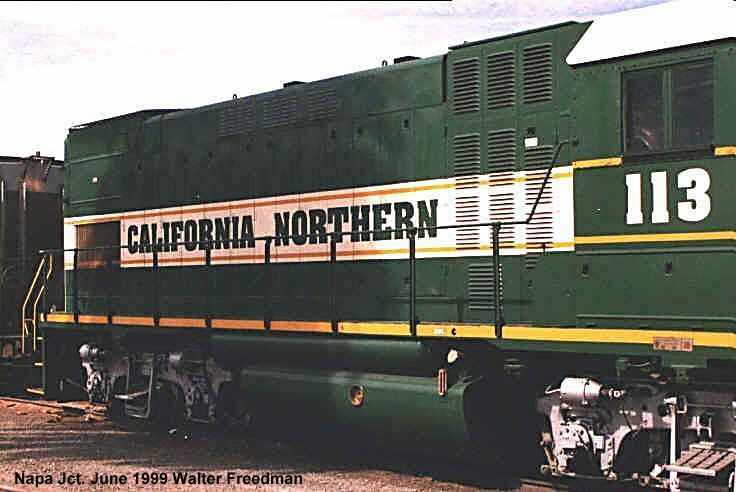 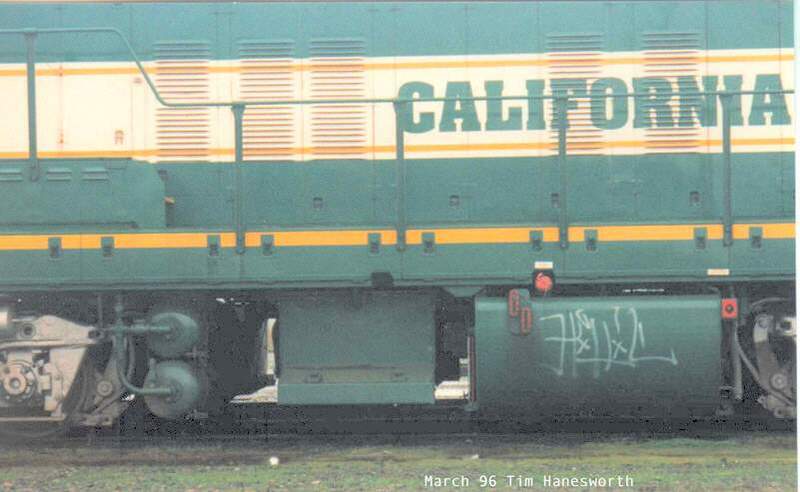 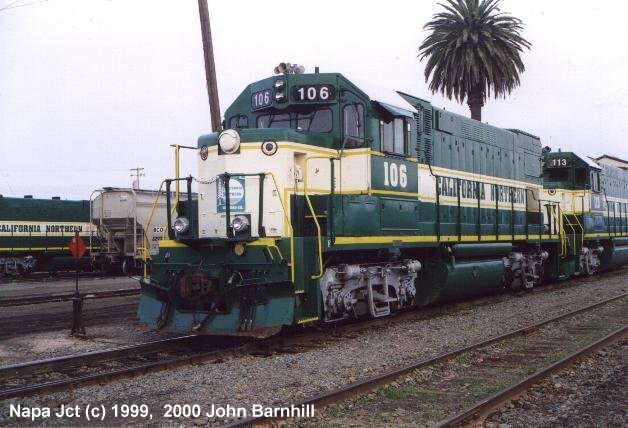 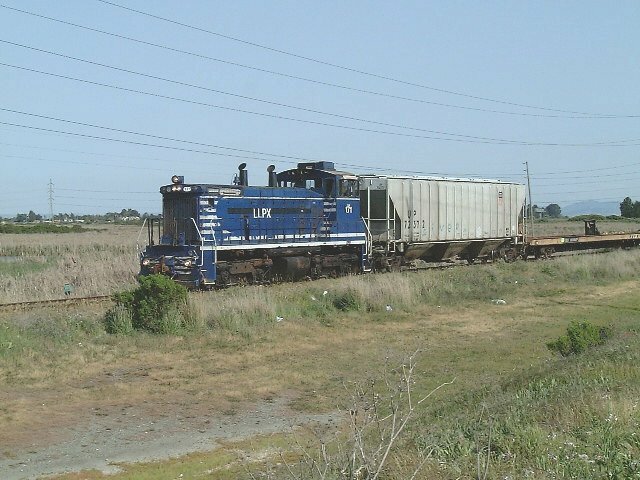 In November 2003, California Northern took delivery of Ex TP&W GP20 #2019, it came to the CFNR from RailAmerica affiliate San Diego & Imperial Valley. 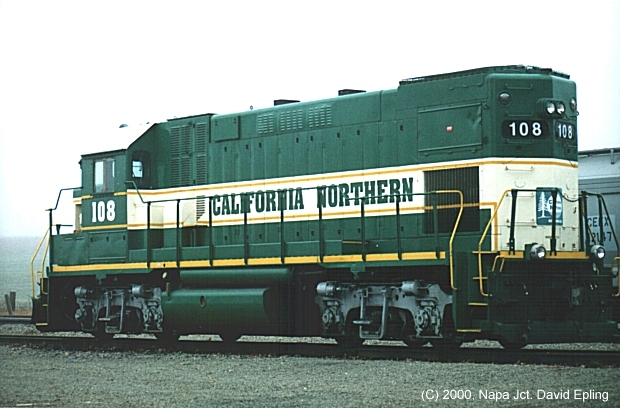 This unit still wears the kodachrome paint from the failed 1980's SPSF merger. 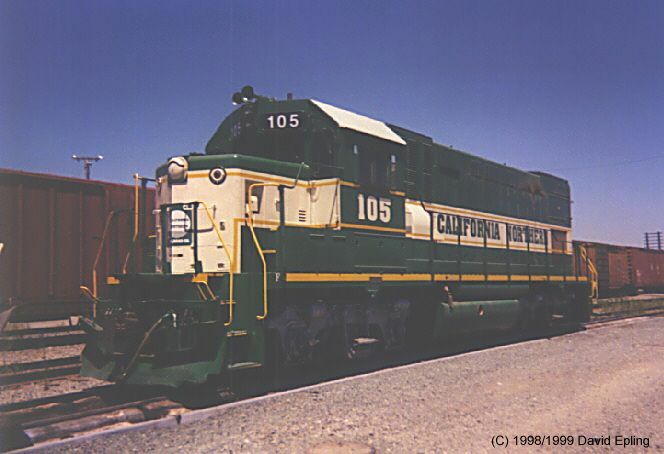 100, 101, and 102 to Union Pacific as UP 1542 (UPY 542), 1543, and 1544.